Interview by Alexander Rizhenko with Italian architect Robin Monotti. Could you tell me more about your new Crimean projects? Sorry, but no. Because at this stage they are only ideas, not projects. Although I hope that everything will go well. How long have you known Crimea? What impressions do you have about its architecture? The first time I visited Crimea seven years ago. Architecture on the peninsula is incredibly rich – mixing different cultures and religions, East and West. 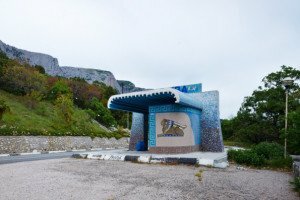 In this respect, Crimea is a unique place. I personally feel very comfortable here, as the Crimean landscapes remind me of my native Italy. 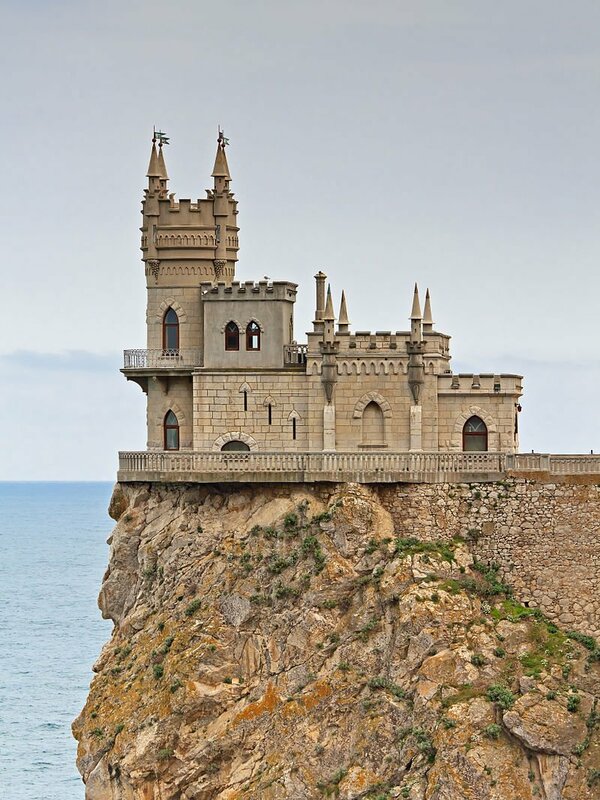 What architectural monuments of Crimea impressed you the most? Perhaps the Khan’s Palace in Bakhchisarai. Also Vorontsov Palace in Alupka: on the one hand, one can trace Scottish tradition, on the other – there is a sense of connection with the East, there is even a certain resemblance to the famous Taj Mahal. As far as I know, the author of the project Edward Blore (who built Buckingham Palace – the official London residence of the British monarchs) had never even visited Crimea. On the topic of more modern architecture, I received the most vivid impression from the sanatorium “Druzhba” in Gaspra and the hotel “Yalta-Intourist” (the latter – with the decisions in the scope of architectural interiors). Another lasting impression I got in Crimea is from the bus stops built during the Soviet period. I was so amazed by these bus stops, that at some time I was even going to dedicate a book to them. 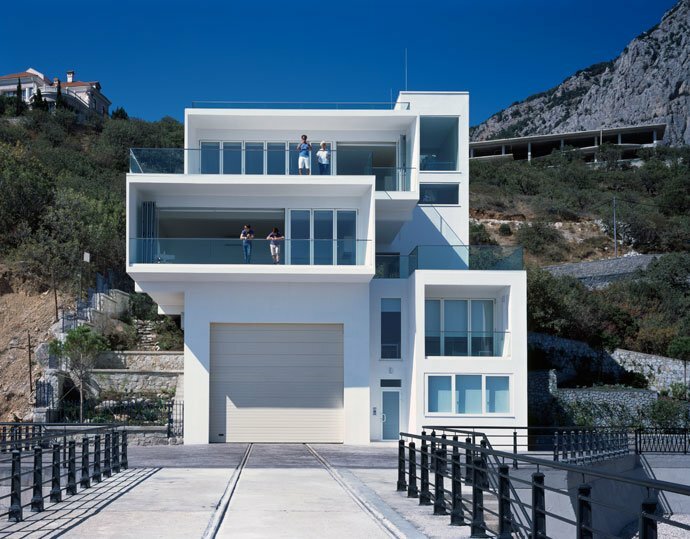 It seems to me that one of the main advantages of the peninsula is the existence of a variety of architectural layers. Of course, in some cases, they conflict with each other, but for the most part, they compliment each other, there exists a fantastic harmony in it all. What needs to be demolished is the unfinished construction near the hotel, which spoils the overall impression of this, without doubt interesting project. I saw it only on photographs – both old and modern. Despite all the changes, I think it still meets its original idea. It’s an interesting project. Well, you are probably familiar with the Swallow’s Nest, and not only from photographs. How, in your opinion, has this architectural project become one of the symbols of Crimea? It’s main advantage is in its location, in the landscape that surrounds it. Crimea is a tourist destination and a castle against the background of the sea is definitely romantic. In addition, the architecture of the Swallow’s Nest is easy to understand – it is simple and effective. How difficult was the work on your project in Foros? How long did it take to implement? The design stage, during which our team did not go into the technical features, took four months. We worked every day, seven days a week. We considered all options – classical, modern and something in between the two. Only towards the end of the fourth month of work, we came to the conclusion that the building will look like this. It took us seven months to work on the technical side of the project. The construction itself took a year. It is a hotly disputed matter, what architectural styles is best to stick with when constructing on the southern coast of Crimea – classical or modern. What is your opinion on this? It’s silly to argue on what’s tastier – beef steak or dessert. In architecture, there are no absolute ideal solutions, and we must start each case anew – in some locations a classic style is better (and classicism, too, is diverse! ), somewhere else you may want to include fantasy with modern realities. What would you advise to pay particular attention to when creating the future of the architectural image of Crimea? Definitely the landscape. Moreover, not only natural but also urban. New buildings should fit into the overall picture of the countryside and the city. It’s no secret that the capital of Crimea – Simferopol hasn’t got the most attractive architectural appearance, even when compared to other cities of the peninsula. What would you recommend to Simferopol authorities to remedy the situation? To give any recommendations, one needs to explore this issue deeper. But I think a lot can be corrected by drawing attention to seemingly small details. Paving slabs, benches, some small buildings create an image of the city – if they are changed, you can change the whole picture. How, in your opinion, can one get rid of architectural concrete and glass monsters, which are a big tragedy for Crimea? Should the authorities decide on new buildings on their own or is it impossible to carry on without the influence of public opinion? The most important thing is to not continue building many of them. If urban planning professionals are involved in the process, the likelihood that the city will end up with some ugly architectural forms is extremely small. Typically, this happens when the project goes immediately on site – even without the approval of experts. This shouldn’t be the case – a kind of filter is required. The most important projects should be subject to public debate: the public should have the right to influence the architectural development of their city. But often such projects are private, and to reach their clients is simply impossible. Unfortunately, such a problem exists. In modern society, the city is seen as a large supermarket, for which the architect has to design the product. And the conditions are dictated to him not by his own will and reason, but by the capitalist standing behind him. Of course, in this situation, much depends on the city’s authorities: the conditions for the construction should be clearly specified during the sale of the land. If for any reason this does not happen, public opinion should be consulted. You should not think that it is impossible to get through to the investors, because even Lenin, if I am not mistaken, wrote that to live in society and be free from society is impossible. 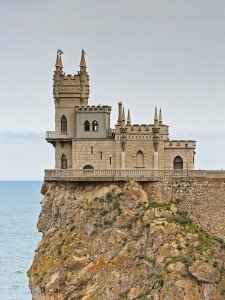 Some time ago, some outstanding architects from around the world worked in Crimea. Is it possible now? And is there free land for their projects on the peninsula? First of all, let me say that there’s plenty of land. As for the great architects of our time, I’m sure they would contribute to the development of Crimea with great pleasure. The image of this republic would only win. Let it be only a few projects, as long as they are of very good quality. By the way, near Yalta (in Ponizovka) they are finishing off a health center for Sberbank of Russia, designed by the outstanding Norman Foster, architect of the ‘Gherkin’, which became one of the symbols of London. Were you able to communicate with young Crimean architects? If yes, do you see among them if not talented, but at least promising? Crimean architects helped me to work on the project in Foros and they performed their work brilliantly. Of course, some of them are really talented guys. I have seen several projects by Simferopol based Andrey Tkachuk – they seemed to me very interesting. I think Crimean authorities should have a closer look at them. Robin Monotti is an Italian architect, member of the Royal Institute of British Architects (RIBA). He received a master’s degree in history and theory of architecture at the Architectural Association School in London. In 2007, after teaching at the The Sir John Cass Faculty of Art, Architecture and Design (Partner of the Moscow School of Architecture), Robin opened ‘Robin Monotti Architects’ in London. 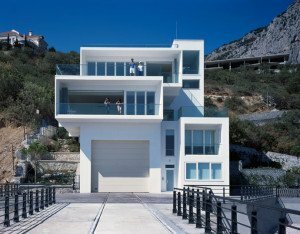 In 2013, Foros Yacht House won for the Monotti team one of the world’s most prestigious awards in the field of architecture – the European Property Award. * The Artek Children’s Camp was a project of the Soviet Union built in 1925.